This past year has been filled with many sweet moments around the Capitol campus. From big events and projects (like Capitol exterior preservation above) to behind-the-scenes stories and fun celebrations, below are 10 that stand out to me. 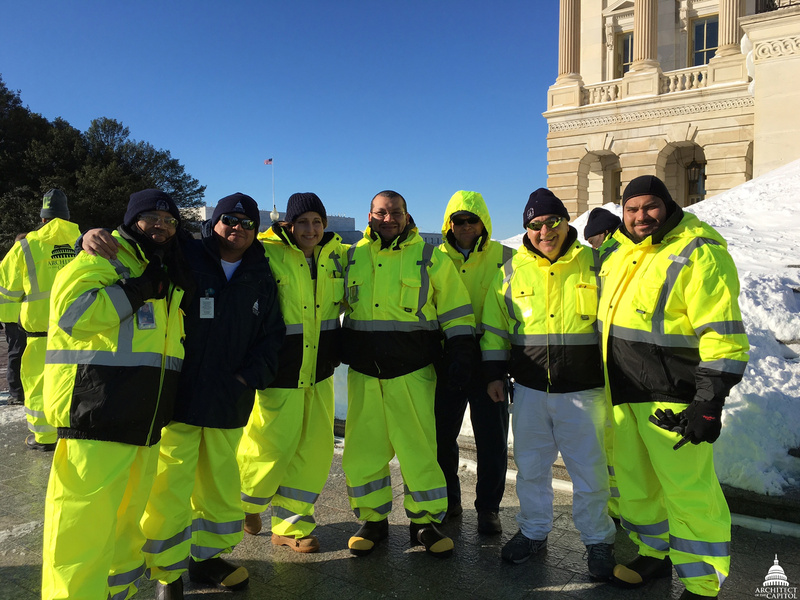 Snow removal on the West Front of the Capitol and part of the AOC team. Less than 48 hours after the D.C. blizzard began in January, Architect of the Capitol (AOC) crews had removed a tremendous amount of snow to make ​14 miles of sidewalks, 7 miles of streets and drives and 20 acres of plazas and parking lots accessible for the Capitol community. New to the AOC.gov/blog this year is the "Artfully Yours" series. These stories are collections of art around the campus featuring a specific person: Hamilton, Jefferson, Madison and Washington. Let us know in the comments who you would like us to feature next year. Crowds came from miles around to see, and smell, this famous plant. 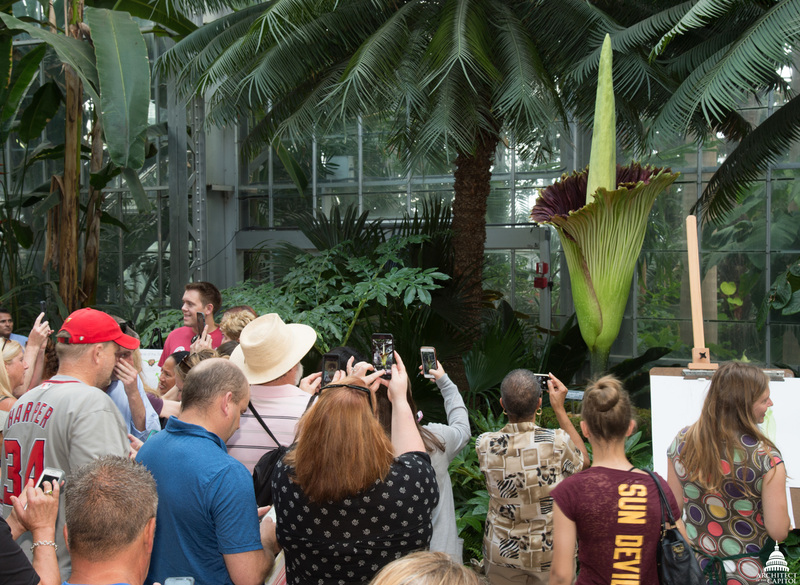 The corpse flower (Amorphophallus titanum), also known as the stinky plant, bloomed at the U.S. Botanic Garden (USBG) Conservatory in August. 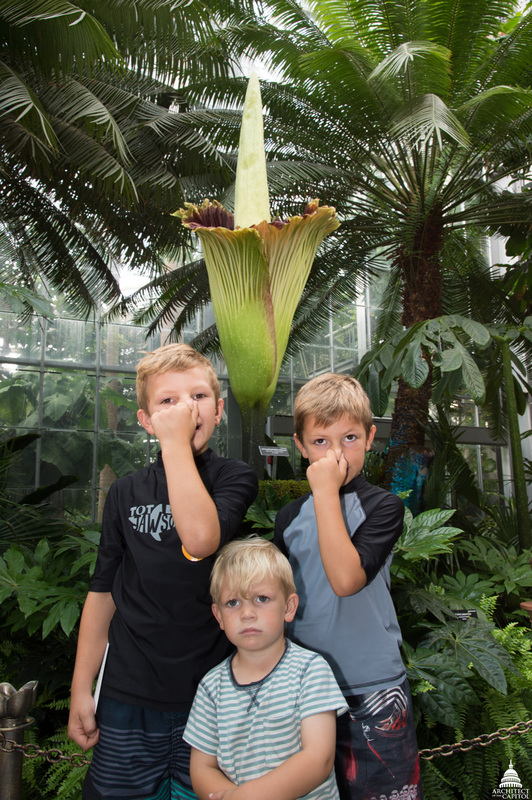 The corpse flower gets its name from the putrid scent it emits while in bloom to attract pollinators. Some describe the scent as a combination of garlic, fish, diapers and rotting meat. Visitors and staff often pause to imagine what is behind the Capitol Building's smallest doors (only about 30 inches tall). 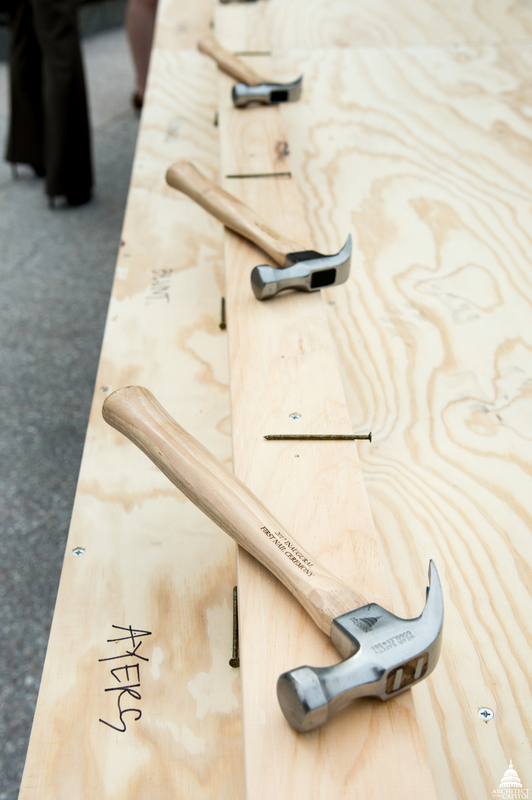 Guesses are as varied as the architectural details that encompass the Capitol campus. We investigated the correct explanation for their existence over the summer. Following the successful completion of the Capitol Rotunda's restoration, we were proud to welcome everyone back into this hallowed space. With scaffolding and art protection removed, visitors were once again able to experience it in all of its awe-inspiring beauty. Architect of the Capitol Stephen Ayers and members of the JCCIC. Every four years, the Capitol becomes a stage for the Presidential Inauguration. 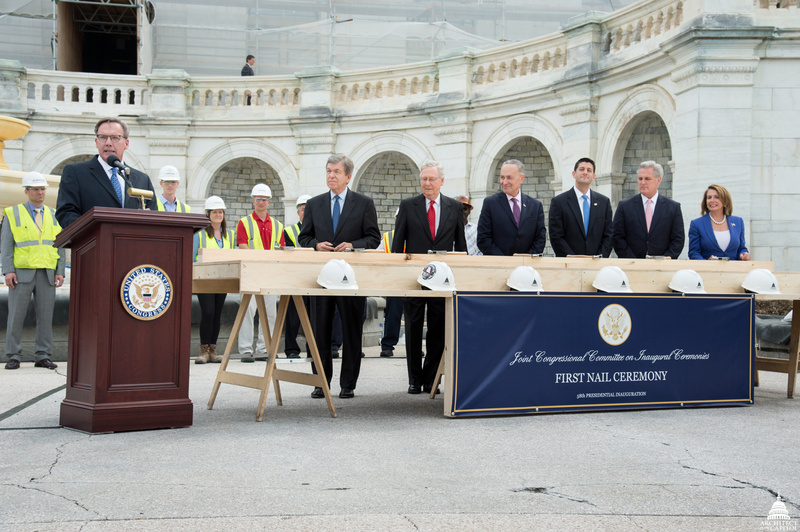 The AOC and members of the Joint Congressional Committee on Inaugural Ceremonies (JCCIC) marked the beginning of platform construction by driving in the "First Nail" in September. The U.S. Botanic Garden's National Garden opened in October 2006 as an outdoor laboratory for gardening in harmony with natural ecosystems and a place for visitors to experience the diversity of plants, including the rose, America's national flower. Since 2015, the Ulysses S. Grant Memorial by Sculptor Henry Merwin Shrady has been hidden behind scaffolding, but recently, that has changed. The conservation effort has come to a close, and now an astonishingly vibrant, emotional and detailed sculpture is revealed. Celebrating the successful completion of the Capitol Dome Restoration. The first comprehensive restoration of the Capitol Dome in more than half a century was completed in November. With the support of the United States Congress, hundreds of expert craftsmen worked day and night to restore the Dome to its inspiring splendor. This year's Capitol Christmas Tree came to the West Front from Payette National Forest in Idaho. Chosen by AOC's Capitol Grounds superintendent and lit by Speaker Paul Ryan with fifth-grade student Isabella Gerard, it continued a time-honored tradition of more than 50 years. Loyal blog follower looking forward to your 2017 entries. HNY! Excellent walk down the "2016 memory lane". Thank you.